Cognitive Behavioural Therapy is the most empirically supported therapeutic approach for multiple psychiatric disorders, and is widely considered the “gold standard” treatment for a variety of issues. Most mental health professionals claim to do “some CBT,” but many clinicians in the trenches resort to a more “eclectic” approach and treatment often loses direction. Leave this 1-day intensive breakthrough course with international CBT expert Dr. Jeff Riggenbach with core competencies, transformed clinical skills, and an improved understanding of conceptualization based treatment that will ensure you never get stuck in therapy again. Through case studies, interactive discussions, role-plays, and reproducible handouts, you will take away practical CBT strategies to use immediately with any client. Leave this conference armed with tools you can use in your very next session! Develop core competencies in CBT, including the therapeutic alliance, collaborative agenda setting, fostering behavioural and cognitive change, and giving client feedback. Understand the role of cognitive distortions in information processing and the unique processing present in specific symptom sets. Demonstrate how case conceptualization drives effective treatment planning & improves therapy outcomes. Discuss case studies to increase understanding of specific cognitive models of depression, anxiety and anger and effective treatment strategies for each. 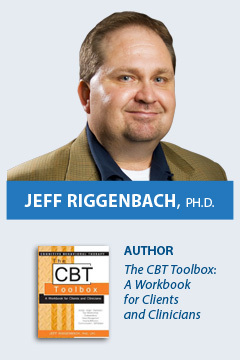 Jeff Riggenbach, Ph.D, LPC, is an award winning author & international expert in personality disorders. He has spent the first 17 years of his career developing & overseeing personality disorder treatment programs at two different psychiatric hospitals in the state of Oklahoma. During that time, he & his staff have treated over 500 patients with BPD in particular. He is on Faculty with Educational Institutes in Canada, Australia, and South Africa and has trained over 15,000 mental health professionals in all 50 US States and abroad. In addition to his body of clinical work, Jeff serves as director of the international Personality Disorders Awareness Network, is a diplomat with the Academy of Cognitive therapy, and is a best-selling author. Dr. Riggenbach’s talks routinely receive the highest marks from conference participants in terms of educational as well as entertainment value.